Ball up your towels, washcloth in the middle. Pick the hair out of the drain. Put garbage in the garbage. If your stay is multiple days, tip every day you expect cleaning service. Things to do before leaving a hotel room: Ball up your towels, washcloth in the middle. Pick the hair out of the drain. Flush. Put garbage in the garbage. Tip. ($10/day, per person who stayed) If your stay is multiple days, tip every day you expect cleaning service. Seriously. This means that if a family of three people stay in a hotel room for five days, they should leave $150.00 for the housekeeping staff, according to Land — apparently no matter what the rate is charged for the room in which they are staying. In some hotel properties, that rate of tipping can actually exceed the room rate itself. Should Flight Attendants Receive Tips and Gratuities From Passengers? Should Customers Pay Servers By the Hour as a New Concept Pertaining to Tipping and Gratuities? Should Gratuities and Tips in Restaurants Be Discontinued? 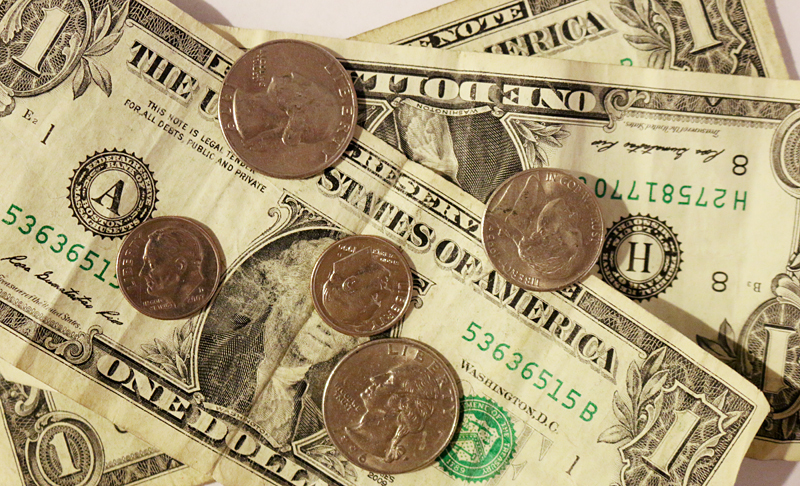 Should the Practice of Tipping Be Abolished? Tipping the Hotel Maid: Yes or No? Bad Service at a Restaurant: Should You Leave a Tip? Apparently you and I are not leaving enough of a tip for the housekeeping staff at hotel and resort properties in the United States and Canada, according to this campaign called The Envelope Please which was launched by Marriott International, Incorporated back in September of 2014, of which Maria Shriver was the spokesperson. Envelopes were to be placed in 160,000 rooms at up to 1,000 hotel and resort properties in the United States and Canada operating under the various brands of Marriott International. I disliked this concept for various reasons. First of all, there is usually enough junk lying around the room as it is: advertisements, forms to join the frequent guest loyalty program, notices and menus. I do not need an envelope reminding me to tip to add to the clutter. Second, why is it my problem that housekeeping staff is supposedly not paid enough in wages? I am not their employer. Besides, whenever lodging companies profit from increases in revenue, why are they not sharing more of the wealth with supposedly underpaid staff? Third, why is this concept only for the United States and Canada and not being introduced worldwide? Could it possibly be because the concept of tipping might be different in some other countries — especially those where the culture is not conducive to the concept of tipping to the point where it could be considered offensive or an insult? Here is an idea: How about Marriott use the funds which were spent on this campaign towards increasing the pay to members of the housekeeping staff at its hotel and resort properties? Photograph ©2008 by Brian Cohen. What if the service performed by the housekeeping staff is substandard — such as the hotel glasses in your room not being properly cleaned to the point that you would likely not want to drink out of them? What if you found out that your room was infested with bed bugs? Would you still leave a gratuity? In addition to the aforementioned general overall increase of hotel rates in the United States, guests are subject to other expenses — sometimes without those costs being obvious. That $79.00 hotel room can easily exceed $100.00 per night when you factor in such items as taxes, tips for other employees of the hotel property, and resort fees — and that is not including optional services such as room service, which in and of itself has been known to at times have excessive gratuities and fees attached to it. As I mentioned in this article from Tuesday, April 22, 2014, I have always been against what I perceive as deceptive advertising. I want to know the total cost of what I am paying when I book an airfare — or a hotel room or rental car, for that matter; and I have always believed that the full price should be what is advertised. I do not agree that this should be applied to tips for hotel staff; but a guest might be more inclined to willingly tip hotel staff if not bombarded with other expenses — whether or not they are expected — which are not included in the advertised room rate. That I vehemently oppose the implementation of mandatory resort fees, facilities fees and destination fees is no secret to you if you have been a reader of The Gate for years — they should either be optional or eliminated altogether — and I would not be the least bit surprised if forcing guests to pay these nefarious fees reduces the number of tips and gratuities members of the housekeeping staff receive. Is This Secret to Ease the Pain of Paying Resort Fees Viable? When I stay at a hotel or resort property, I try to leave the room as close to the way I found it as possible. I gather up the towels I used and either place them in the bathtub or on the floor in one area. I never leave hair in the drain. I always flush the toilet. Not only do I dispose of garbage properly, but I usually consolidated it in one trash can. Some people do not leave a tip for housekeeping at all, with the logical and reasonable assumption that the services of the members of the housekeeping staff are included in the room rate — and they receive scorn from critics who claim that members of the housekeeping staff do not earn enough of a wage for their hard work to be able to afford basic living expenses; and by not leaving them gratuities, they are being denied reasonable compensation for doing their jobs. If I decline to have a porter carry my bags to my room for me instead of doing it myself, am I denying him or her income? Do I not have a right to work for myself if I feel that I do not need any assistance? Other people like to state that if you cannot afford to leave gratuities, then you therefore cannot afford to travel or dine at a restaurant. I believe that absolute statements such as that are overly harsh. Unless the service is beyond expectations, is enjoying a stay at a hotel or resort property — or even dining out in a restaurant, for that matter — without automatically acceding to what is basically a justified and glorified form of a handout too much to ask? I will be the first to wholeheartedly agree that members of the housekeeping staff at hotel and resort properties need to be paid a better wage for their hard work. Artificially lowering the rate for a room at a hotel or resort property — only to have the guest pay resort fees and tips and gratuities and other hidden expenses — can be perceived as deceptive. Perhaps instead of $79.00, the true room rate should be $100.00; or perhaps instead of $213.00, the true room rate should be $345.00. At least the guest will have a better idea of what to pay with fewer surprises — as well as have the option of leaving a gratuity in addition to the real room rate if the service is indeed extraordinary. Lodging companies need to pay better wages to members of the housekeeping staff and not force customers to subsidize them. Tips and gratuities should be optional and at the discretion of the customer. Stop guilting guests into leaving a tip. I understand the argument that service personnel — mainly in the United States — depend on gratuities due to low and even sub-standard compensation paid to them by their employers. They do deserve to earn a living and be compensated for their work. If those service personnel choose a job or profession which is reliant upon gratuities, then they need to perform their role as best as they possibly can — and unfortunately expect the occasional deadbeat to not leave a well-deserved tip. Others may argue that service personnel earn more than people think as a result of gratuities — but I am not about to tackle that debate here at this time. The point I am attempting to make is that a tip should be deserved, not expected; earned, not required. If you are a service provider, did you offer a service of value to your customer — and did you do it exceptionally well? If so, that is how you will get a tip out of me. If not — well — that is up to me to decide. Not you. All photographs ©2008, ©2015, ©2016 and ©2018 by Brian Cohen. Just spent 5 nights at the grand Hyatt Melbourne Australia. Ordered room service frequently. No tax, no tip, none of the other charges that come with room service in USA. The price on the menu was the price I paid! And staff never seemed to expect a tip. Wow! Mostly I do not tip, also not in the US, as I find the practice disgusting. However, by exception I will tip if housekeeping or roomservice does something special for me. They are peeing in your bottled water. I had read Land elsewhere. She also said we should strip the sheets, etc. off the bed. $10 per day per person is crazy. If they’re expecting this maybe I should stop the several dollars I leave. I don’t want to insult anybody. Strip the sheets? She does realize that if people actual do what she says (ROFL, that’ll be the day) that housekeepers will get done with rooms faster which would just lead to hotels cutting back (firing) housekeeping staff? Obviously, nobody – Land included – can realistically expect this to happen. That begs the question of why she made such a Modest Proposal. I’d venture a guess that she’s trying to move the needle in what she sees as the right direction. Kind of a ask for a million but take a hundred situation. I’ll never tip $10/pp per day but I do leave $10 per day, whether it’s a Holiday Inn or a Park Hyatt. And I leave a note thanking them each day. I am very very neat-no hair in drains, no stuff on floor, all towels congregated in tub or tub/shower and I tip every single night. If just me, $7 or $8 if it’s in my wallet. If w/wife or one of my kids $10-$12 again depending on what is in my pocket—w/my adult kids it means 2 beds. One of my life long best friends owned a Hotel in Chicago (on Wabash). He died before he hit 50. I always had a comped room or multiple rooms but the only thing he wanted me to do was “tip his people”. Everybody should tip their server be it a waiter/waitress in a restaurant or a maid in a hotel room. It means a lot to them and it is not a lot to you. If you wanna save money, don’t do it on the staff at a restaurant or hotel. Thank goodness I don’t spend a lot of my time in US hotels (or at my house in the US period for that matter). If a service charge already appears on my bill, housekeeping gets nothing unless I ask for something above and beyond. If this Ms Land whoever she is thinks I am leaving $10 pppn then she can take a short leap off a tall building. Those little envelopes already piss me off. So do tip lines on the receipt at fast food restaurants. Everyday I move closer to rural Italy. I can already swing it. I still can’t believe she is so famous for writing a book about housekeeping. It’s time we moved the needle so that tipping is not mandatory or guilt driven. Clearly this woman is biased with her laundry list of to-dos. I thought the room rate covered this service? Maybe the resort fees do? I still feel tipping is bribery and the people who do this work deserve a living wage. Should I tip the police officer for writing me a speeding ticket? Anyone in service should be paid appropriately for their efforts and not rely on the “possible” generosity of others. They were hired to do this job, and are paid, albeit inadequately, for the work. Uugh…don’t get me started on the mandatory tipping for cruise ships! And for the record….I, too, leave the room as close to how I found it. My mama taught me well. I will continue to tip ZERO for housekeeping, as well as most other things. It is a scam. I always tip but usually between $3-5 per day of cleaning. Our cleaning lady at home makes $20/hr so there’s no way I’m paying a hotel maid $30/20min on top of her wages. That’s just honestly the most ridiculous thing I’ve heard. It makes me start buying the argument that tipping is out of control and we need to force employers to pay a living wage instead. And stripping the sheets? So I’m supposed to pay someone $30/20min and I have to strip my own sheets to further reduce the amount of time they are actually working for that $30 I’m supposed to give them? When I pay a nightly rate, I expect to have a clean, well-prepared room — that’s the deal. That deal doesn’t change just because I stay more than one night. However, I tip if I have made a special request… particularly if I putz around beyond housekeeping rounds so I therefore require a later-in-the-day cleaning. Most of the time, I’m an easy customer: I treat hotel rooms like I treat my home… so I don’t leave spaces in shambles. More often than not, I make the bed out of habit. Don’t feel like a fresh towel or a new loo roll requires a tip. I like how you talked about the importance of when to tip housekeeping services after you complete your stay in a hotel area because people are undecided on whether or not tipping is a good idea or no. While some people are on the line about not tipping since that’s already included in the cost of the room, for others tipping as a sign that you had excellent service is just good manners coming into play. Personally, while I have no experience i the housekeeping business, I would find that tipping the staff that kept the room neat and tidy would be my way of saying ‘thank you for the service’ and showing that I do appreciate what they’d done for me during the course of a potential stay in a hotel room.